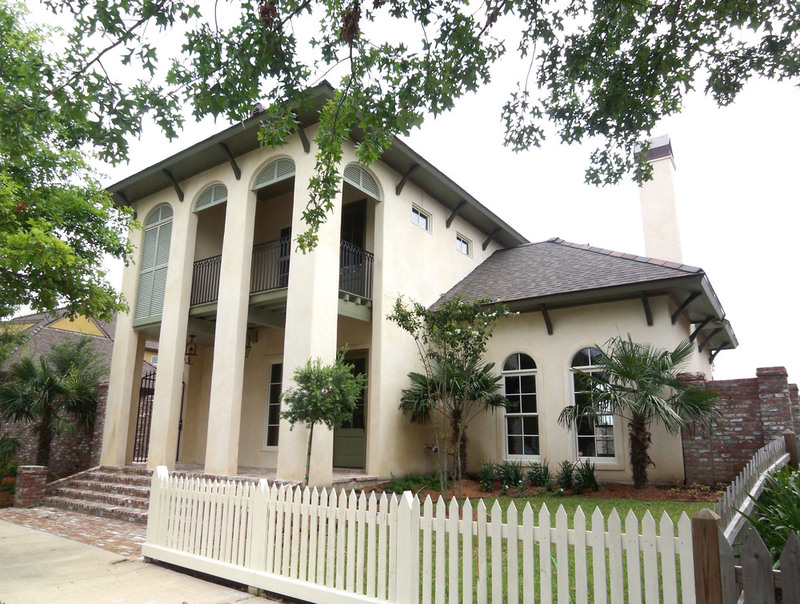 Like the city of Lafayette, the architecture of River Ranch is influenced by many different cultures: Caribbean, French, American Colonial, Creole, Acadian, Spanish and Neoclassical Revival. The development has applied this same philosophy to the nearby retail stores, allowing both local boutiques and chains within walking distance of houses. Our firm has worked with various builders for this development including LaFosse Construction and Escott Builders.